If you happen to be in possession of a Canberra ducted heater in your home, then you should be familiar with some of the problems that may arise during usage. Here are the top ten most rampant issues you are likely to come across as well as remedies on how to fix common ducted heating problems. A ducted heater is an excellent addition to your home because it will enable you to breeze through the cold spells. This appliance dispenses heat through its heating ducts to keep your entire home warm and hospitable. Being aware of these technicalities enables you to take the necessary steps to dodge them. The key to having a smooth operating ducted-heater, is by regularly scheduling a repair program to spot potential complications that may curtail efficiency and productivity. Call Canberra Plumbing & Drains personnel for an inspection when the machine seems to be not functioning seamlessly. Clogging tends to reduce air circulation and flow in the systems. Making it difficult for the appliance to function efficiently. As a result, more energy is needed to run the fan and working components. Wear and tear have the potential to cut down the useful life of your heating apparatus significantly. This issue is likely to compound air circulation problems as well as heat control hitches. Some of the heating problems stem from a faulty pilot or ignition. Faults in the ignition arise mainly as a result of clogging or draughts in the apparatus. Always check if the batteries have been replaced in your thermostat. A total drop-off in ducted-heater performance could be down to some issues targeting the thermostat, gas or pilot units. Apart from the standard heater complications, it is essential to select the right equipment for your home/apartment or unit carefully. A small ducted heater will be insufficient for spacious properties. Tampering with the on and off modular may lead to irregular readings and misleading thermostat settings. If your fan runs continuously, the most likely suspect is the over-temp switch. It will be in your best interests if you bring in a professional from Canberra Plumbing & Drains to remedy the situation. Rumbling and squeaking noises are a sign that something is amiss. This condition signals the presence of mechanical, burner or airflow problems. Clogging in the filters can cause a myriad of complications in your ducted-heater. Most manufacturers recommend that cleaning and filter replacement should happen at least once a month during winter or peak usage. Our repair experts at Canberra Plumbing & Drains can provide guidance on how to go about this exercise. If you have a reason to suspect that your ducted-heater is not producing sufficient heat, then the best course of action is to examine the thermostat battery level. The ease of battery replacement will vary from one model to another. Adjust the thermostat settings to fix the fan complications. If the parameter is in the low, medium or high modes your fan will not stop running, adjust the switch to auto mode. When the appliance seems to be running low on heating capacity, check the thermostat to confirm whether it is in “heat” mode. The temperature reading should be set slightly higher than the prevailing room temperature. There are moments when your machine may abruptly stop functioning. When this problem arises, check the safety-switch for tripping or a fuse blow. As for the power supply, ensure that you correctly plug the cord into the outlet. If a draught poses risks to your pilot light, the best course of action is to seal openings such as doors and windows to limit any excessive gush of air currents into your room. Finally, remember to call an expert from Canberra Plumbing & Drains when you encounter pressure regulation malfunctions. When all the above remedies fail to work, it could be best to purchase a new appliance. When making your purchase ensure the thermostat specifications are ideal to meet your heating and living demands. Once Canberra Plumbing & Drains do away with the old gas appliance. The majority of Maintenance and inspection checks should happen in the warmer months or before autumn to get you ready to tackle the cold spells of winter. Ignition and mechanical issues are best left to professionals’ due to their delicate nature. Experts in this field have a lot of knowledge and training on how to deal with HVAC gadgets. Unresolved problems pose both safety and health risks to inhabitants, hence the need to consult a specialist. 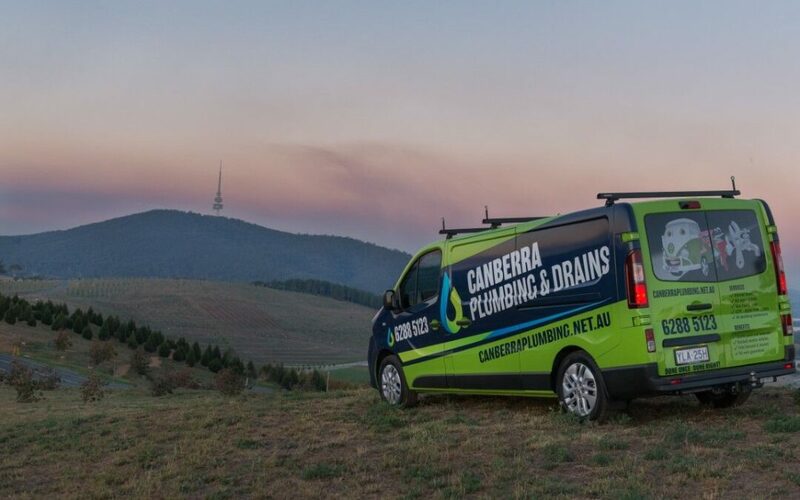 Canberra Plumbing & Drains prides themselves in providing the most efficient and professional service to all clients. We will make sure that we will repair your ducted gas heating and if its beyond repair or unsafe to use we will give you a competitive rate to replace it! Contact us in the office today on 62889929 or 0474 488 899 to book your gas heating repair Canberra.